Please join us in my studio for some crafty afternoons. There will be refreshments and activities for kids. The events are free for UPPERCASE friends, subscribers and customers. My books and magazines are available for your holiday shopping! UPPERCASE is in the Devenish Building above Ethos Bridal on 17th Avenue SW.
Suite 201b 908 17 AVE SW, second level, end of the east hall. Learn the basis of English Paper Piecing using fabrics from my new collection. What's EPP? We'll cut little hexagons out of paper, wrap fabric around them, baste, and then sew them together. And repeat as long as your heart desires. You're welcome to bring your own fabric scraps as well. My fabrics play nicely with others! 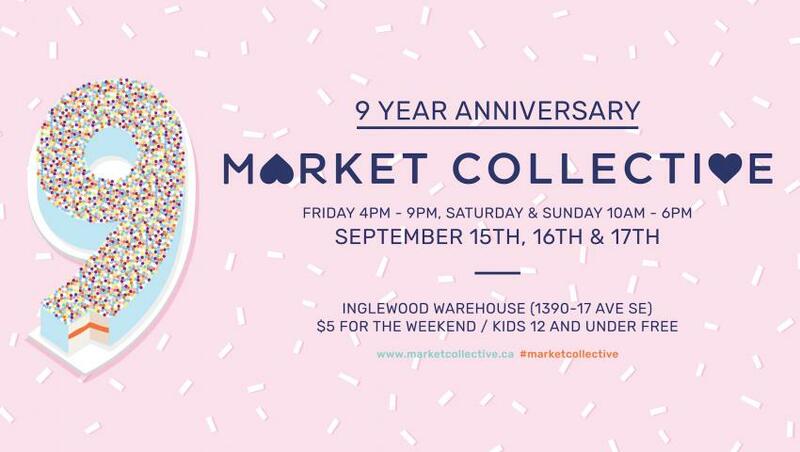 Market Collective is presenting a spectacular event this weekend, in celebration of its 9th year of hosting craft fairs in Calgary. "Join us in celebrating 9 years of community building through the arts! We'll be in a brand new location with lots of room for artists new and old, as well as all kinds of interactive special installations and features. Come on down for a weekend of food trucks, DJs, live music, and shopping from the amazingly talented local creative community." UPPERCASE is happy to provide a few magazines for giveaways at this weekend's event. And look for some of our books and magazines for sale at Independent Study Club, a brand new indie pop up book fair starting out at this weekend's Market Collective. 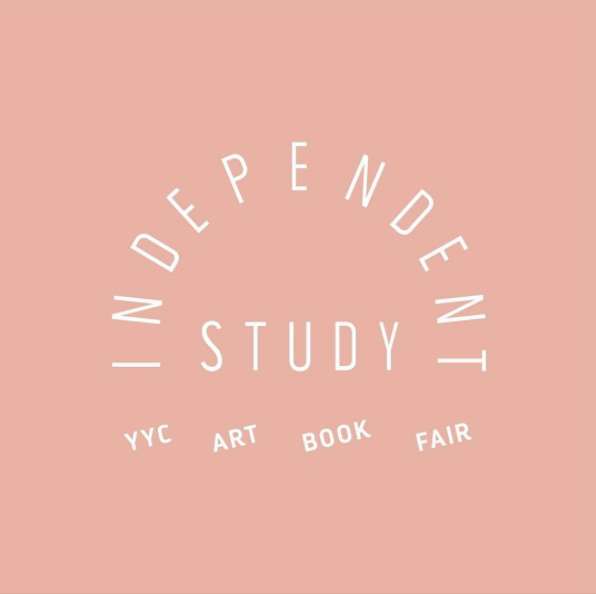 "Independent Study’s vision is to promote an appreciation of art book culture in Calgary and Alberta by featuring independent book sellers, publishers, and artists." 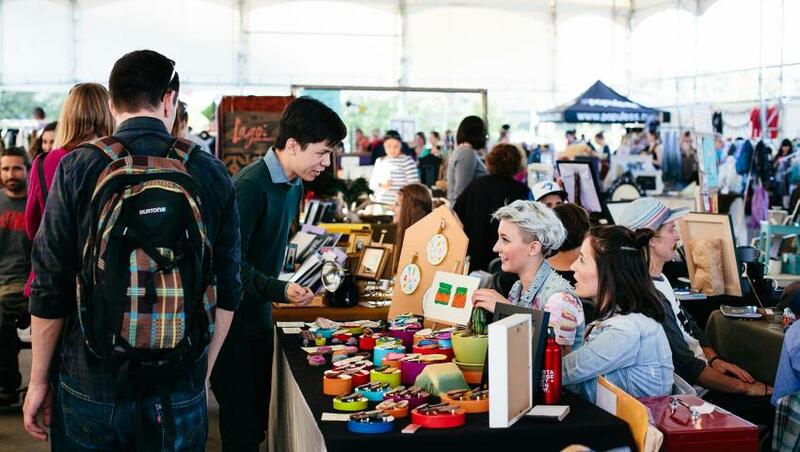 Buds of Buds is a grassroots collective that supports local artists and makers in Calgary. During this year's Calgary Stampede, the group is hosting a Painted Windows Exhibition. This Stampede there’ll be more than a bucking horse and rider decorating windows of Calgary businesses. Buds of Buds Collective (Buds), has teamed up with artists and business owners to present the Painted Windows Exhibition. This event was inspired by community and social collaboration. Katie Pearce of Buds says, “we're building on Stampede culture, Alberta heritage, and connecting communities.” For its first year the Painted Windows Exhibition will focus on communities surrounding the Stampede grounds: East Village; Victoria Park; and Bridgeland Riverside. 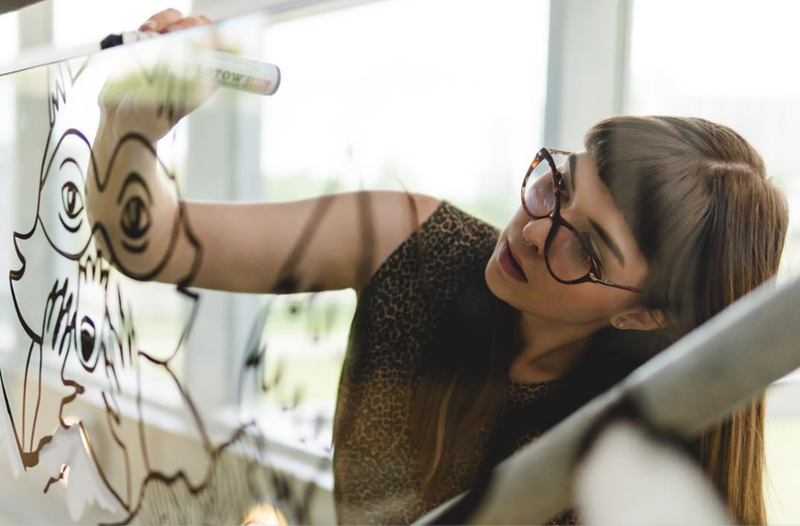 In future years, Buds will be expanding the project footprint. Photos from Buds of Buds' instagram account, click over for credits. The Creative Supplies Swap was a success! We had fun, enjoyed talking craft and creativity and everyone went home with a little something new to play with. Thank you to my co-host Rosalyn Faustino of Calgary Craft Alert and to all the enthusiastic folks who came out to share and snoop! If you're interested in starting your own swap in your community, I've compiled some tips. My name is Rosalyn Faustino and I am the founder of Calgary Craft Alert. (hi!) Janine and I are happy to be co-hosting the Creative Supplies Swap at UPPERCASE this Saturday from 1-3pm. I was born and raised in Calgary and went adventuring in Toronto for almost 13 years and came back to become an auntie to my nieces and to have a new adventure with my partner in 2014. I graduated Specializing in Sculpture and Design and Art History and became interested in more traditional and domestic craft work such as weaving, sewing, and quilting. Although, I love to draw and practice penmanship. 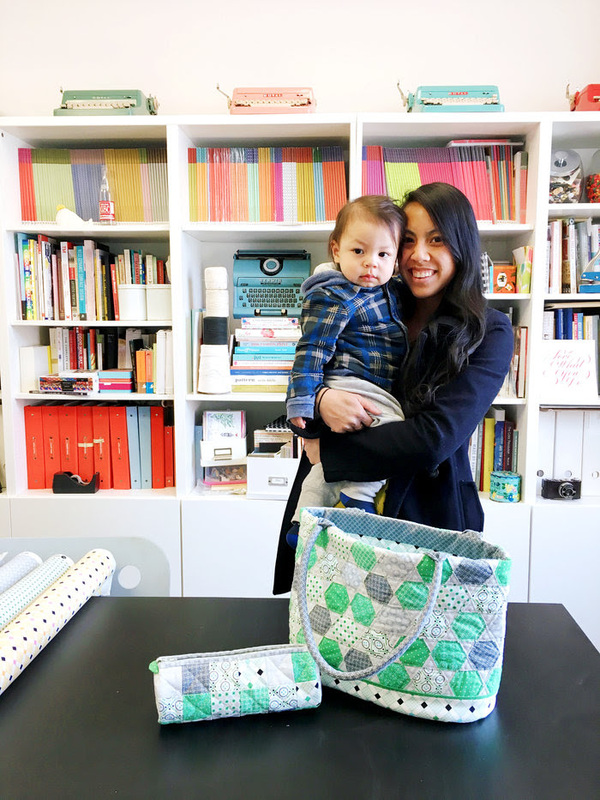 Calgary Craft Alert started its online presence in November 2015—when I was 7 months pregnant with my little boy. I wanted to create an online space for the art and craft community for the city of Calgary to connect with one another. My first year of having a newborn and starting a new venture was quite tough, as I didn't often get the chance to explore the city and attend shows. I used Instagram and Facebook as my main sources of researching local talent and I immediately started to build the Calgary Craft Alert website, albeit at a very slow pace. However, you will most likely see my family and I going on craft adventures, now that summer is here! 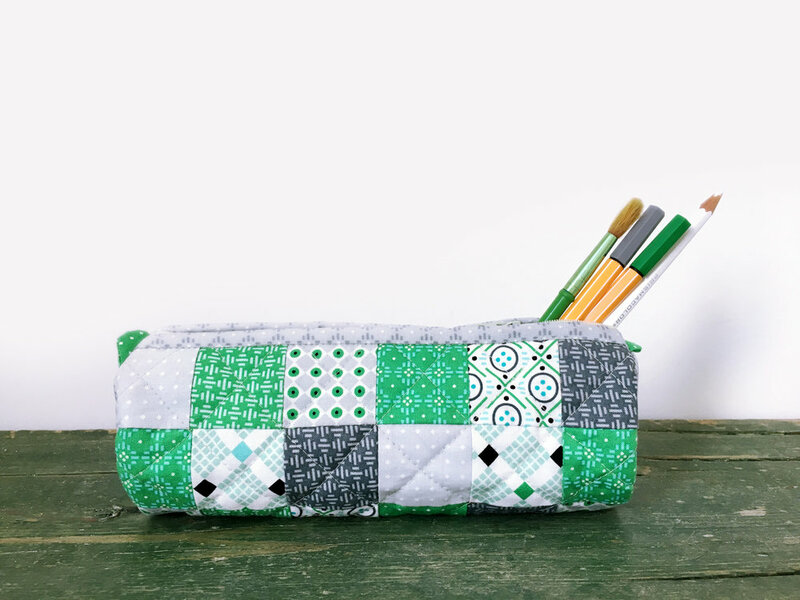 A few months ago, I had the opportunity to sew a couple sample projects for Janine's newest fabric look book, Volume 2: Dots, Dashes and Diamonds. The patterns used are also made by a local designer, Krystine Czepuryk of Pretty By Hand. Sign up for Calgary Craft Alert newsletter for the latest local craft news. See you on Saturday! Rosalyn Faustino of Calgary Craft Alert and I are happy to be hosting The Creative Supplies Swap! We all have extra art, craft and creative supplies that aren't being used. Want to find them a new home? Join us at our Creative Supplies Swap, on Saturday, June 17th, from 1-3pm. Bring yarn, fabric, notions, paper, paints, books, children's craft items, assorted creative bits and bobs*... join us for a fun afternoon of trading and making. You can also bring small, inexpensive artwork and projects that you're willing to exchange with fellow creative swappers. UPPERCASE will also have copies of the freshly published Stitch-illo book and other books and magazines for sale. *IMPORTANT: Please be prepared to bring your leftover supplies home at the end of the event!! This is a swap, not a request for donations. This is a free event. We will have refreshments and snacks. Kids are welcome, too. RSVP on Facebook—or just show up! CALGARY CRAFT ALERT (CCA) is an online resource for the City of Calgary and surrounding area for all things Craft/Art/Design related. 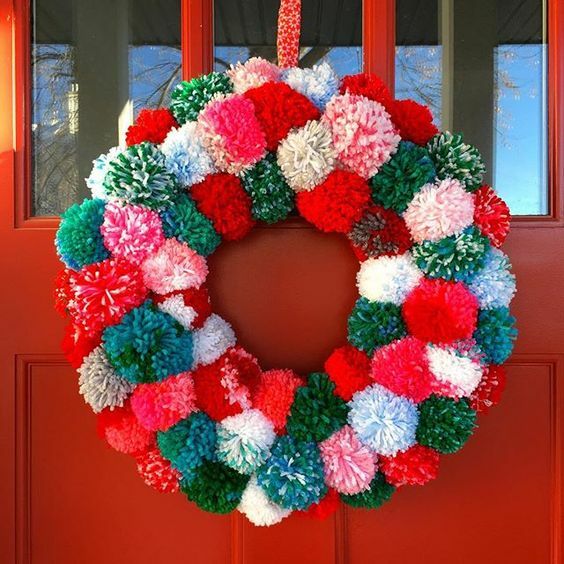 Sign up for their email list to be in-the-know about local craft events! Like this idea? Host your own Creative Supplies Swap in your community! Email me and I'll provide you the graphics. "Brooklyn General Store resides tucked away on a sweet block West of the Carroll Gardens and Cobble Hill neighbourhoods. At the north end of Red Hook, this commercial block on Union Street used to be a thriving shopping block for all types of foods and goods. Brooklyn General’s home within the Old Frank’s Department Store is a throw back to that era, with its preserved floor to ceiling shelves, rolling ladders and classic old wooden floors. The vintage interior is not reproduced, just uncovered, cleaned and painted. If the original shelving isn’t enough to hold all the goods, vintage rolling shoe racks, stacks of old blueberry boxes, vintage pie safes, vintage hardware displays and shelving built from reclaimed wood house the rest." The Brooklyn General instagram is nice to follow!